So begins the breathtaking story of Cal "I was born twice: first, as a baby girl, on a remarkably smogless Detroit day of January 1960; and then again, as a teenage boy, in an emergency room near Petoskey, Michigan, in August of l974. . . My birth certificate lists my name as Calliope Helen Stephanides. My most recent driver's license...records my first name simply as Cal." Jeffrey Kent Eugenides (born March 8, 1960) is an American novelist, and short story writer. He has written numerous short stories and essays, as well as three novels: The Virgin Suicides (1993), Middlesex (2002), and The Marriage Plot (2011). 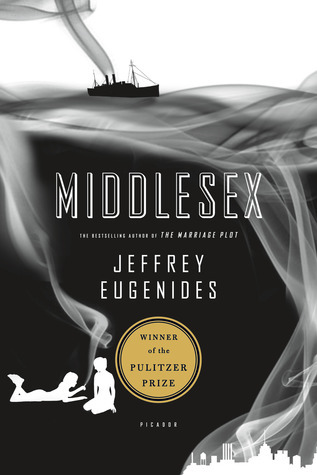 Middlesex is a Pulitzer Prize-winning novel by Jeffrey Eugenides, first published in 2002. The book is a bestseller, with more than four million copies sold since its publication. Its characters and events are loosely based on aspects of Eugenides' life and observations of his Greek heritage. 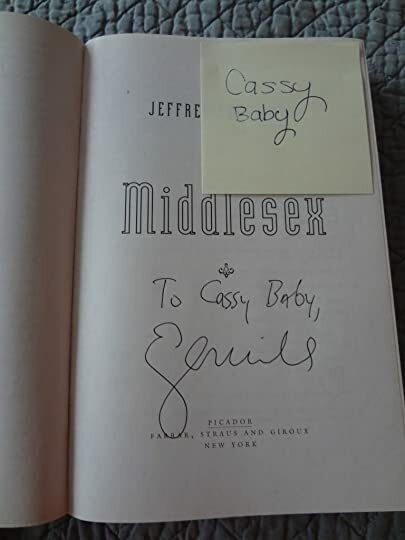 Eugenides worked on Middlesex for nine years. He started writing during his short-term residence at the MacDowell Colony in New Hampshire, United States, and finished the novel in Berlin, Germany; he had accepted a grant from the German Academic Exchange Service in 1999. Eugenides spent the first few years trying to establish the narrative voice for his novel. Ahmad Sharabiani Katya wrote: "Have you read the Virgin Suicides? Also very meaningful piece, Ahmad. Take care. K"
Not until! May be in the future. Have a good day and Katya wrote: "Have you read the Virgin Suicides? Also very meaningful piece, Ahmad. Take care. K"